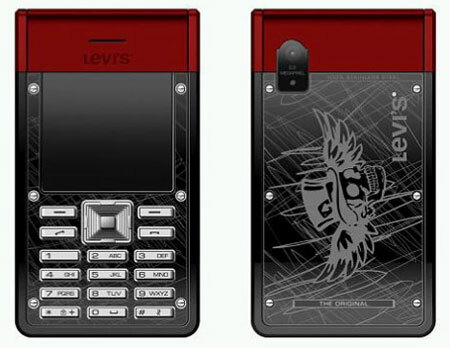 Forget the iPhone, Prad phone or any other fashion handset - if you want real exclusivity, you need to get your hands on the Levi's ultra limited edition Red Tab mobile phone. There's just 100 available to order - and we know where they are. They are being sold online via cool Parisian retailer Colette - we've just checked the Levi's mobile site and there's not even a mention of this model there, so we're guessing this is retailer specific. Looks-wise, it has that famous red tab on the top, while feature-wise it has an MP3 player, stereo Bluetooth and a two megapixel camera with flash. Extras include a 'premium' presentation box, a case for the handset, stereo handsfree kit, a metal chain and if you like, customisation with your name (up to 13 letters). Not cheap obviously - yours for 549 Euros. But with just 100 available, it's unlikely to be around for long.